On this episode, the gang talks about that movie you totally forgot about even though it’s only a year old, Fantastic Four. 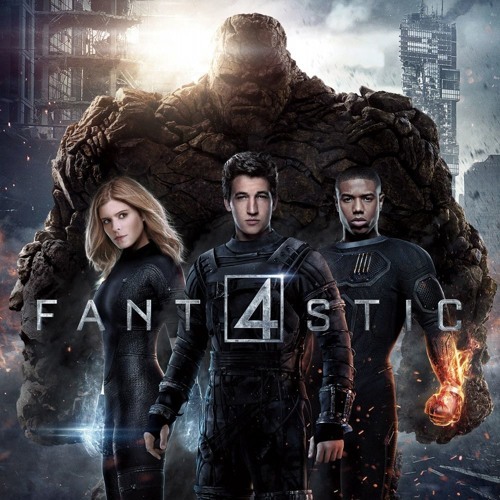 Oops, I mean Fant4stic. In this episode, we welcome our temporary-but-less-temporary-than-every-other-guest guest Darryl to talk about his favorite movie and he’s way better at this whole podcast thing than we are. Join us in Glen Cove (or Oyster Bay? ), where we can show you the beautiful skyline of our favorite city… at least until your Jack’s disease gets too severe and you have to wear a wig too hideous to even speak of. Victor Von Darryl is flabbergasted by his portrayal in this film. Phil has lots of fun trivia about what he calls Space Jam 2, starring Michael “Be” Jordan. Ryan hates all directors except himself, who made the critically acclaimed “his own home movies.” Sly really wants us to watch some movie that was never released, so we settle for his favorite book, “Finding Captain Nemo: 100 Miles Under The World.” Also that’s not Phil letting out that terrifying whine, but his cat. Everyone say hi to the kitty!